Vermont Nut Free Chocolates is moving to Colchester from Grand Isle, where it has been since its founding in 1998. Mark Elvidge, president and owner, said Friday the company plans to be in its new facility by Sept. 1. Elvidge said Vermont Nut Free Chocolates has outgrown its facility in Grand Isle, where it occupies 7,500 square feet on two floors. "It's a lot too small and a little bit inefficient," Elvidge said. Elvidge said the new facility in Colchester is 17,500 square feet, more than doubling the company's space and is all one level. "It's set up much more efficiently," he said. "This should be a move that allows us significant growth into the future." Elvidge and his wife, Gail, started the business after their 1-year-old son had an allergic reaction to peanuts. Elvidge said he and his wife started searching for items that would be safe for their son to eat and realized there was little available, especially in confectioneries. Gail Elvidge started making her own nut-free chocolates, giving them away as gifts and taking them to family gatherings. "One day we said we should start a nut-free chocolate business," Mark Elvidge said. "We started in our house in Grand Isle." Elvidge said the company's processes have to be completely nut free, including employees not bringing anything containing nuts into the building. Elvidge also has to ensure all raw ingredients come from nut-free facilities. Both Mark Elvidge and his wife were working full-time jobs when they started the business. Gail Elvidge began working at the business full time, while her husband continued with his outside job, spending his spare time working in the business. "Our roles kind of switched," Mark Elvidge said. " I joined the company full time about five years ago and took on day-to-day stuff. She does more of the creative stuff, like packaging." Vermont Nut Free Chocolates has 35 employees during peak seasons. 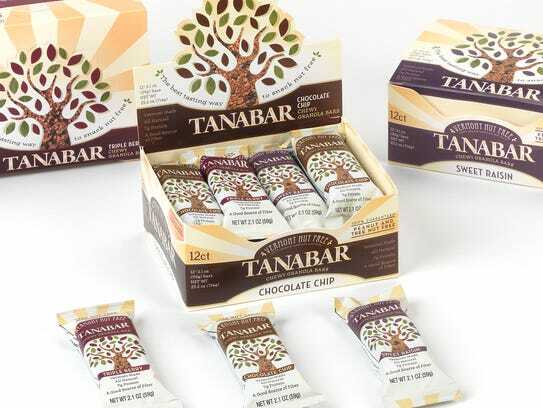 The company has mail order customers around the world, mostly in the United States and Canada, and also wholesales to about 500 stores, including Shaw's supermarkets in Vermont, Healthy Living, and Roche Bros. in Boston.